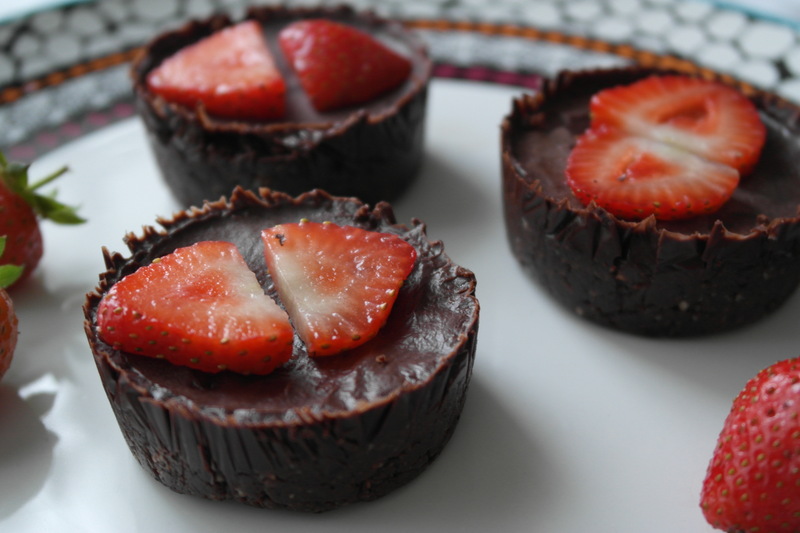 Nothing sounds or tastes better than a delicious batch of chocolate tarts. This recipe is super easy and will not take long to make. These are perfect if you want some kicking around for a sweet tooth craving, or if you want to impress your friends, bring these to an event! 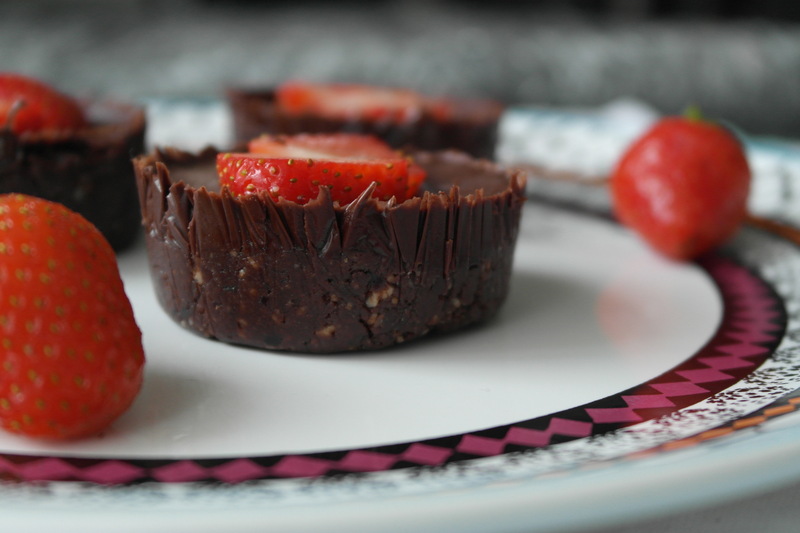 These are also very kid-friendly because they are not loaded with sugar and you can keep it a secret that they are dairy free and healthy. Another great thing about these is that they keep really well in the fridge for up to a week if they last that long! 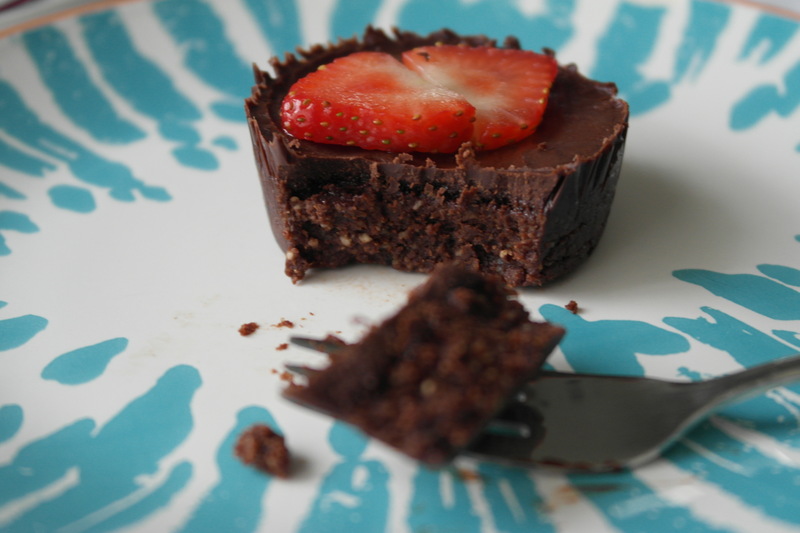 You can choose to enjoy with or without the chocolate icing, but I really like the soft mousse like texture from the frosting that couples perfectly with the light bite of the base. First, make the base by placing the nuts into a food processor and blend to a fine powder. Add in the remaining base ingredients and process until a sticky dough consistency forms. Line a cupcake tin/tray with cling film. Add in 2 tsbp of the dough into each cupcake compartment and press down to flatten. 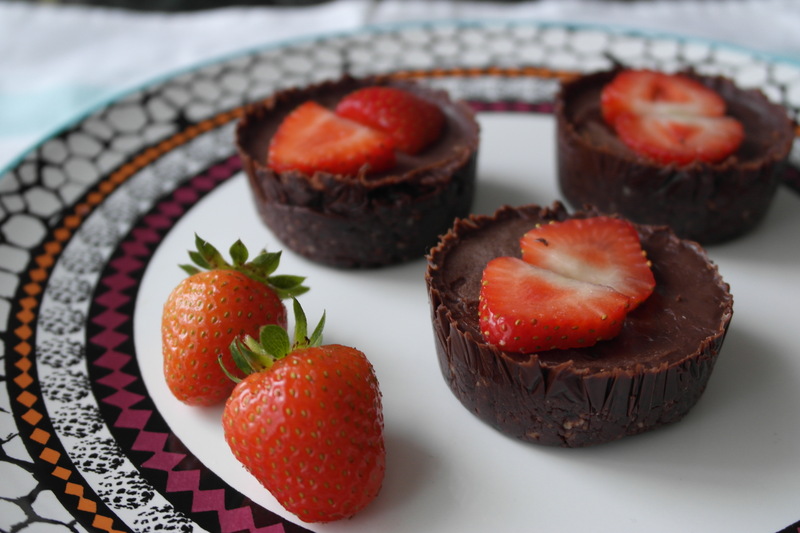 Melt the coconut oil in a saucepan and add in the remaining icing ingredients except for the strawberries. When the sauce is formed pour over the small bases and top with the strawberries. Refrigerate for 1 hour to set and then devour!